Located in Kent Town, the site provided an exceptionally convenient residential position between Norwood and the CBD, enhanced by potential views of city skyline. To create a high quality and innovative design solution for a compact site for the delivery of residential dwellings. This part of Kent Town is predominated by mixed uses and is visually distinguishable by large industrial style stone and brick buildings, the most impressive built around the late 1800 and early 1900’s. 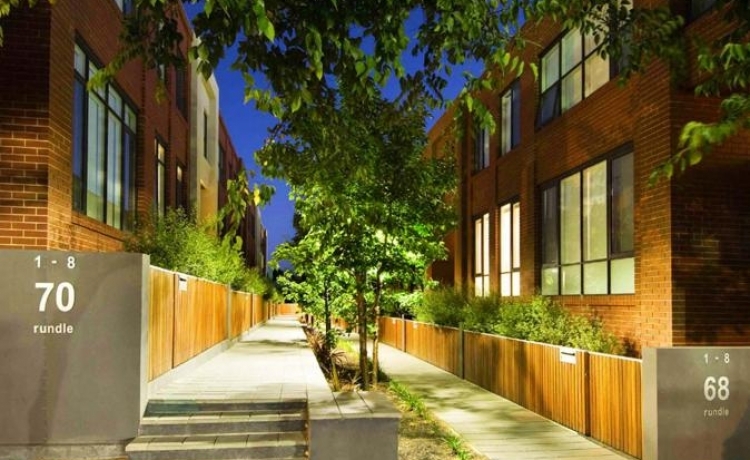 Most buildings have little or no street setbacks creating a defined urban street edge. The buildings are inspired by the industrial / warehouse nature of the zone, particularly the turn of the century John Martin building (see image on photo sheet). The other principal design generator was the relationship and impact of vehicle access on the built form and pedestrian circulation. 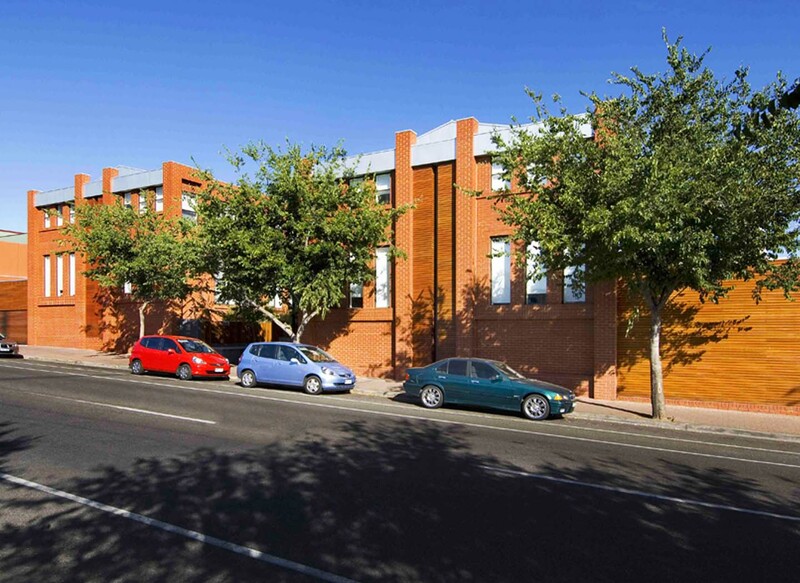 Two large buildings each containing eight terrace style dwellings, face a central landscaped pedestrian space, which has a strong link to Rundle Street. 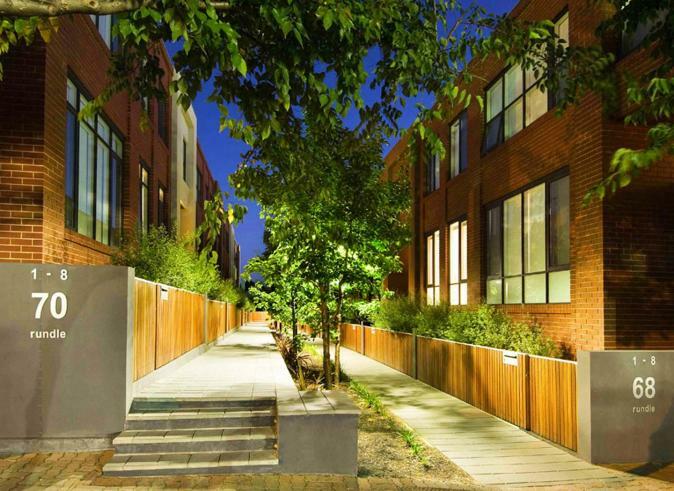 Vehicle access to each building is via a single timber clad door, which is integrated into the building street façade. Each dwelling has a large external terrace, which encloses the communal driveway and services area. The materials seek to capture the essence of the area whilst enhancing the residential nature of the buildings.